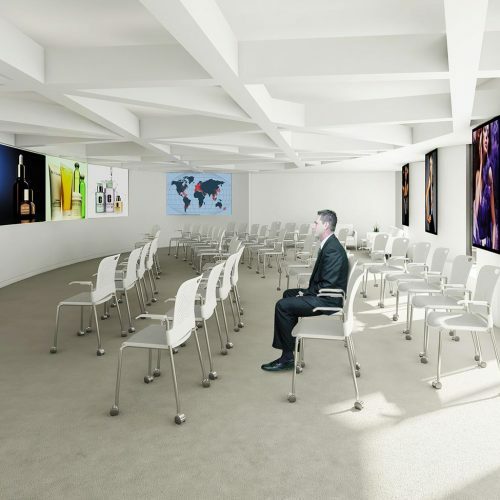 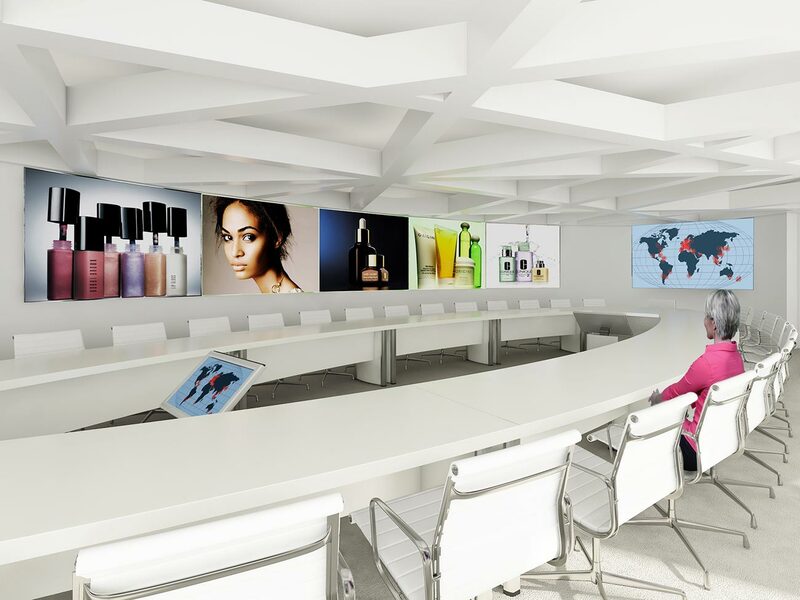 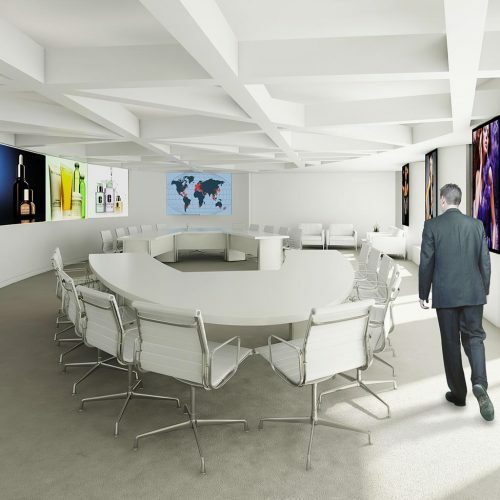 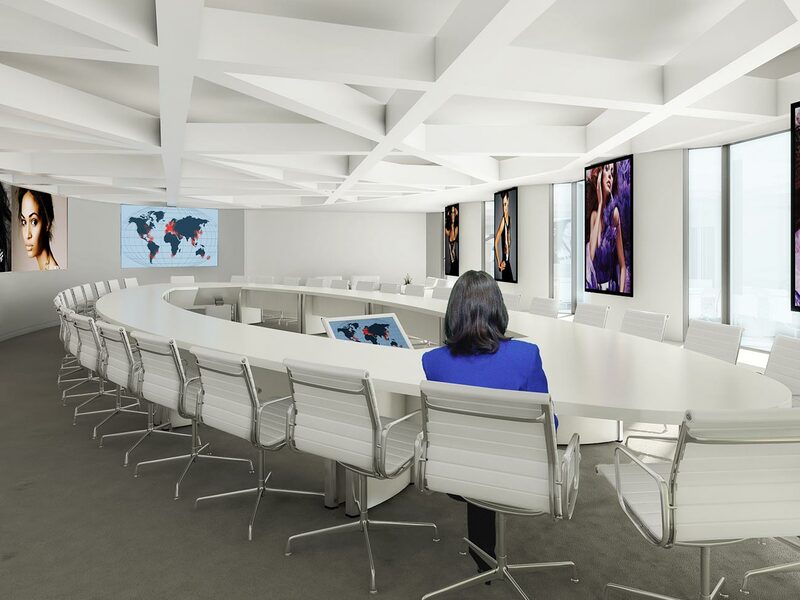 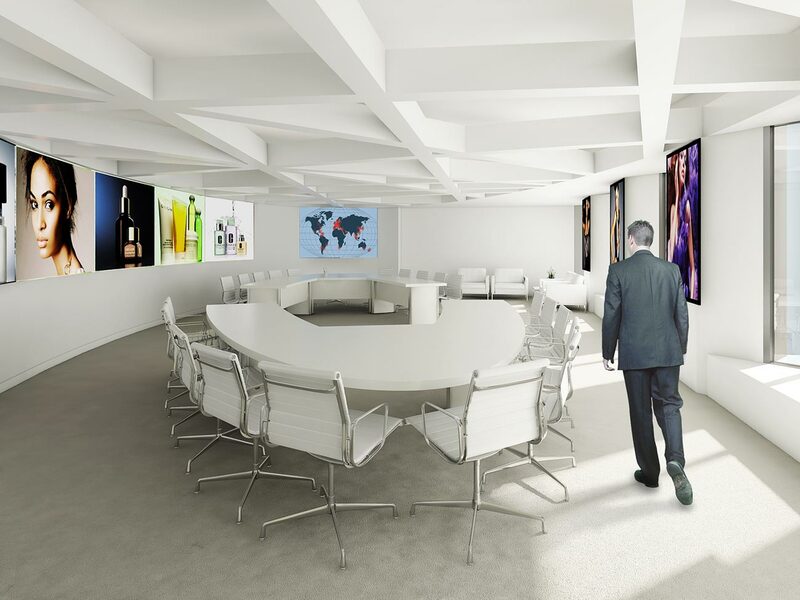 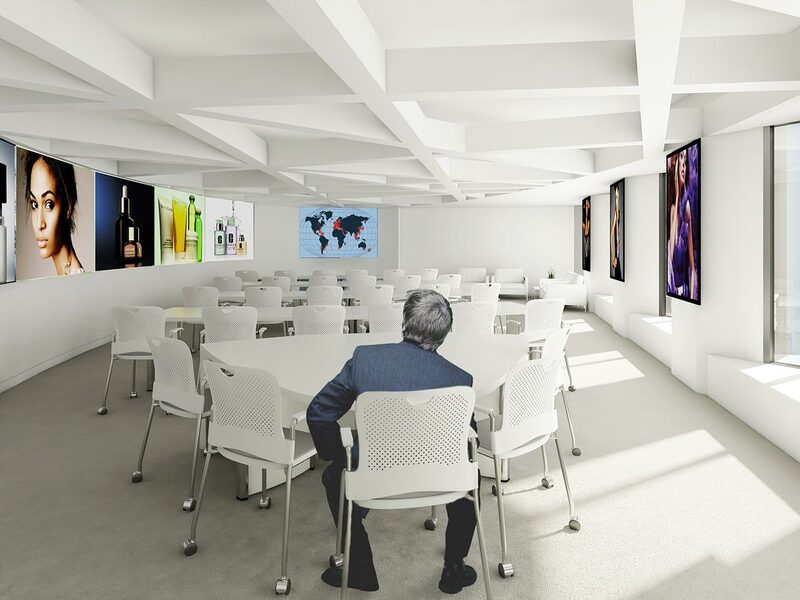 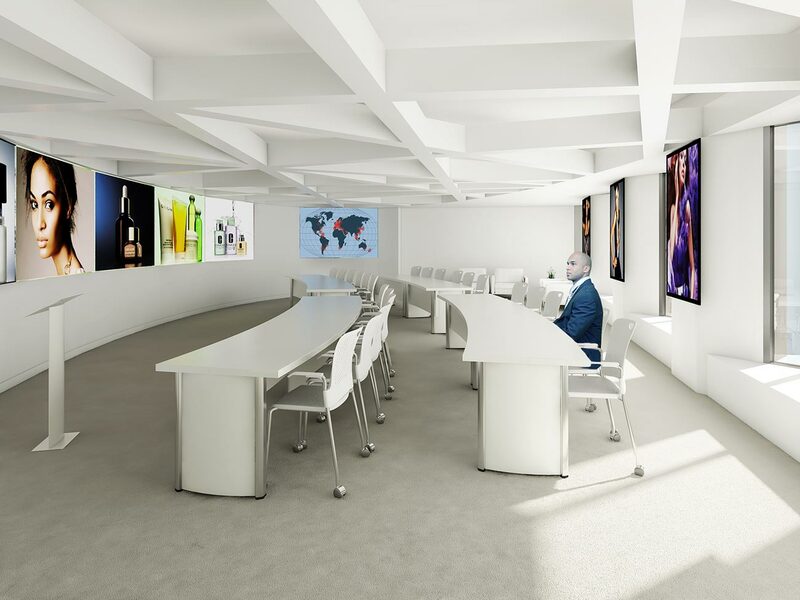 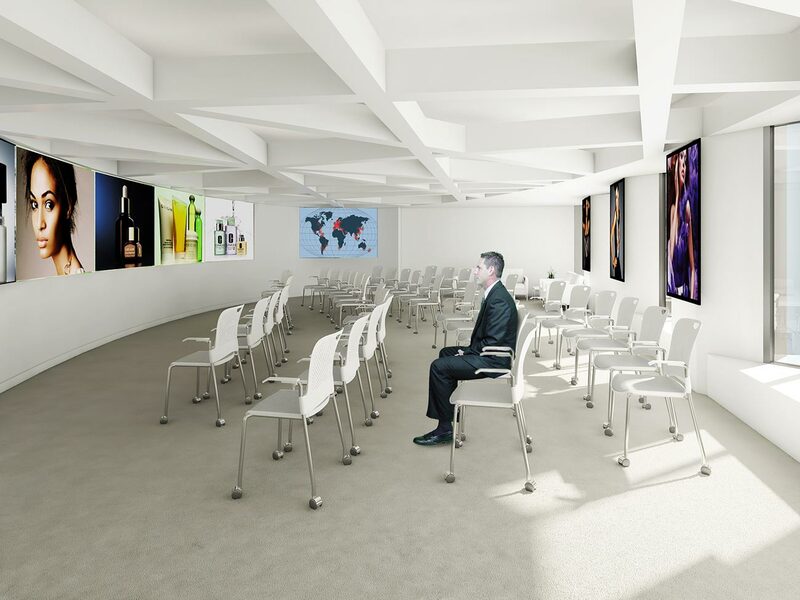 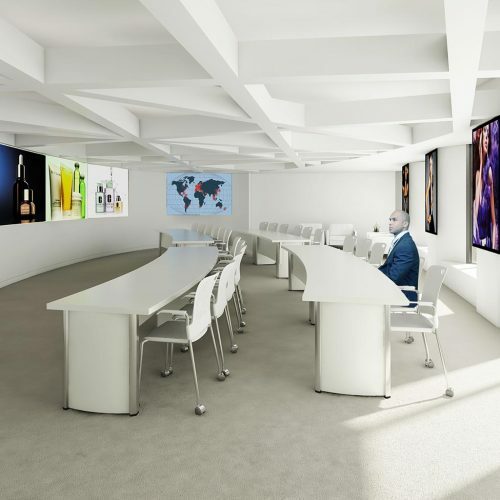 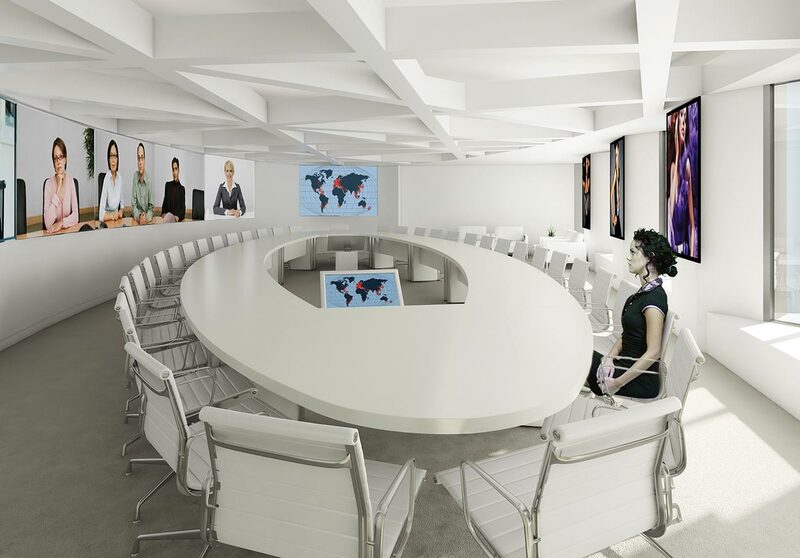 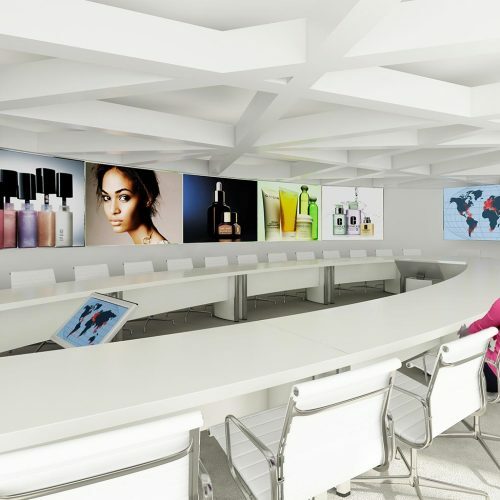 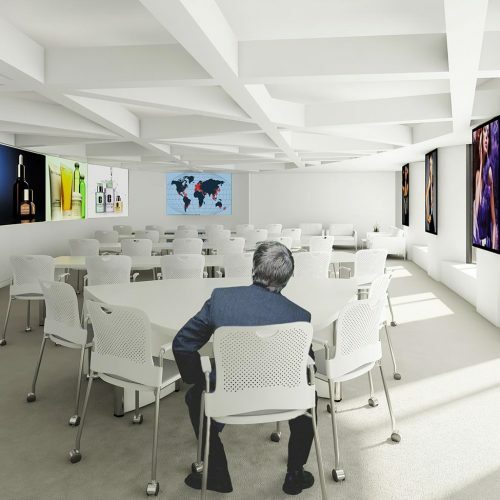 This design for the new executive suite brings all 35 board members together, on location and around the globe. 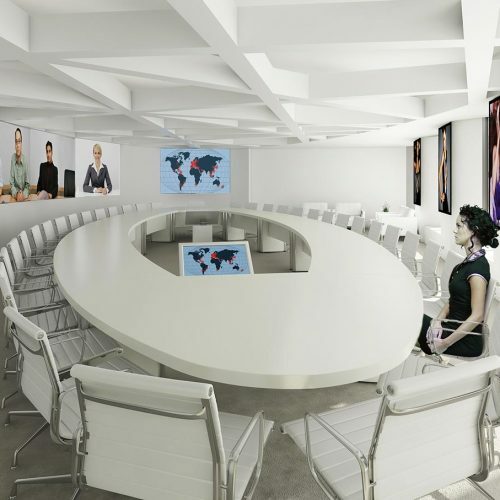 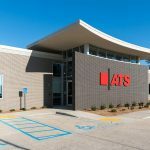 A custom-designed table permits direct visual contact for all seated participants, while assembling for breakouts, lectures and press conferences. 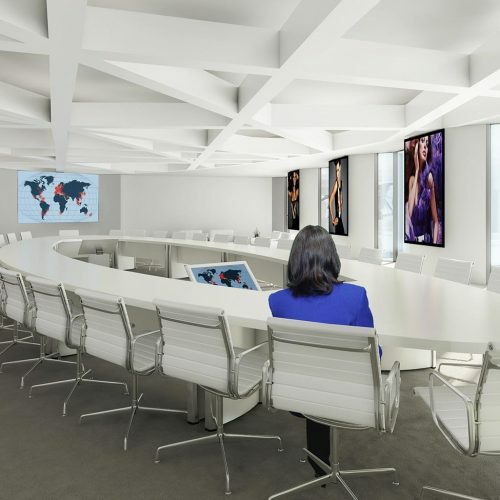 The dramatic ceiling, inspired by bird nests, conceals lighting, speakers and other technologies.